The Ann Arbor Jewish Film Festival is proud to announce a special partnership with Cinetopia, the Michigan Theater’s signature film festival, which runs May 10-19, 2019. The Ann Arbor Jewish Film Festival runs Sunday, May 12 – Thursday, May 16. Cinetopia runs Friday, May 10 – Sunday, May 19. We are proud to be co-curating Cinetopia’s opening film on Friday, May 10, as well as a second film which will show on Sunday, May 12. All screenings and events will take place at the Michigan Theater, 603 East Liberty, unless otherwise noted. Seating for films is on a first come first served basis and there will be no reserved seating. The full A2JFF schedule and information is available at film.jccannarbor.org. 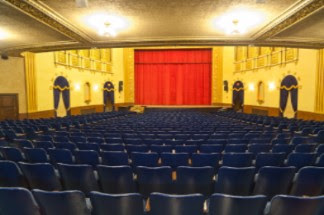 Individual film tickets are $12/ticket for Michigan Theater members and $15/ticket for non-Michigan Theater members. Cinetopia offers a four-pack of individual tickets for the discounted price of $35 for Michigan Theater members and $45 for non-Michigan Theater members. Information on ticket options is available by visiting Cinetopia’s webpage. Click here for more information on becoming a sponsor for the A2JFF and all the associated benefits.